This blog contains answers to questions I receive about hand dyeing. For a huge overview of all sorts of dyes and how to use them see the main site at pburch.net. 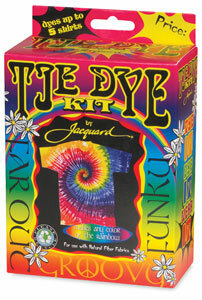 This web site is a repository of information about dyes and how they work. As a scientist, I believe that freely sharing information is important. The more artists know about how their materials work and what materials are best for their purposes, the more control they have over their work, and the better the work that they can produce. If possible, please support this site by placing a link to it in your own web page or blog. This site is advertisement-supported. The Google ads do not pay enough to pay a salary to the author (who is currently unemployed due to ill health), but they make a huge difference in defraying the expenses involved in maintaining this site. They are what make it possible to keep this site going. The way this works is that Google ads will pay this site from one cent to a dollar or more (usually just a few cents) every time a reader clicks on one of them. Please do not click on the same ad repeatedly, such as more than once a day. Some site users have very kindly donated to support this site through Paypal, using the button below. Please help. I bought some grey bras with the intention of dying them black. I followed the instrictions and dyed a couple of other things at the same time. These went black but the bras went a salmon colour. I tried again, this time on their own, and the result was – orange. How can I get them black?